The most efficient way of using the remedy is to use it as a powder directly under beds or affected areas. The ingredients are very effective, however, the efficacy comes from the processing and implementation. It is unique because of the effect, it never needs reapplication and takes about 10-15 days to completely rid your home or affected area from these and other parasites. It can be used in the children's room or around pets. But all bugs, including roaches, silverfish, ticks, head lice, in a different process can be eradicated with this solution. 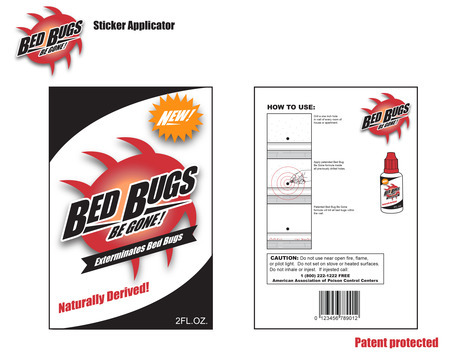 The problem of bed bugs--solution to naturally kill them permanently. It reaches, not only the bed bugs, but also kills the eggs as well. I have a patent that has gone unchallenged for two years on this invention. I have a PCT that is pending and has also gone unchallenged. I have a trademark pending, a business name, a business plan, a newly formed website and the willingness to succeed. I would like to sell it to a manufacturing company to make this invention a reality. I can speak to any interested party regarding the sale of such invention. I would be happy to provide a business plan. I am also working on a website and trademark application. In a world where everything is exterminated, it is great that we can look to nature to naturally rid our world of these parasites, but let's do it simply and naturally!